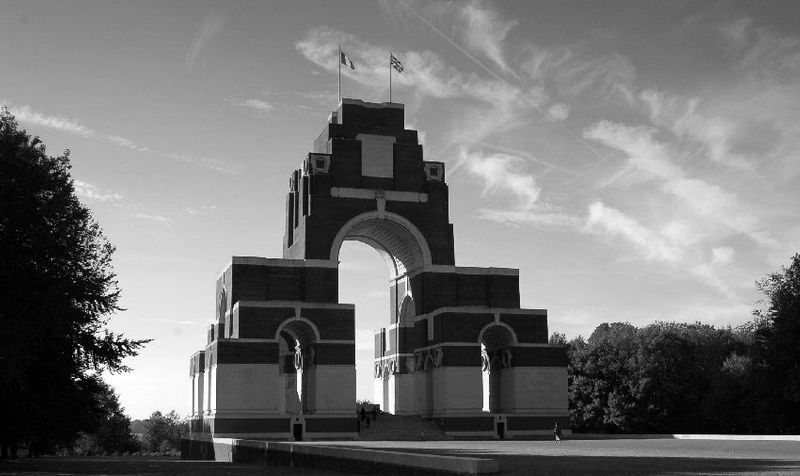 The Thiepval Memorial on the Somme is one of the most distinctive memorials to the fallen on the Western Front. towering dramatically above the surrounding countryside, it bears the names of 72203 British soldiers who lost their life on the Somme and have no known grave. Amongst those men is Pte Alexander Meek 10/11th Highland Infantry from the village of Newtongrange, Midlothian where I live, one man amongst many, so what, if anything makes Alex any different from the others. The story begins back in Newtongrange, Alex Meek was an old soldier in the 8th Royal Scots, the local territorial battalion, at the outbreak of war he re-enlisted in the 3/8th Royal Scots, a Home Service Battalion to help train the younger soldiers, and prepare them for the front. The Meeks were a patriotic family, in 1914 his son Robert was in the Royal Warwickshire Regiment, Charles was a Royal Engineer, John was in France with the 1/8th Royal Scots and his son-in-law David Hill, a former policeman in Newtongrange, was serving with the Cameron Highlanders. Later in the war Robert (pictured) was badly wounded and awarded the Military Medal whilst serving with the Machine Gun Corps, his brother John was also awarded the Military Medal for rescuing an injured comrade. Alex Meek however was restless and even though he was 54 years old, and a Grandfather, he decided that training soldiers was not enough for him, he wanted to take the fight to the Germans. Somehow he managed to pull a few strings and following the opening of the Battle of the Somme when many thousands of men were killed, he was transferred to the 10th/11th Highland Infantry of the 15th (Scottish) Division and went to France in September of 1916, along with a number of other local Royal Scots. Alex was sent directly to the front, and pitched straight into the battle of Flers-Courcelette on 15th September,1916. The 15th Scottish Division were tasked with capturing the village of Martinpuich, it would be a tough nut to crack. At the whistle’s blast men from 46th Brigade went over the top, the 10th Scottish Rifles, 7th & 8th Kings Own Scottish Borderers, 10/11th Highland Light Infantry and 12th Highland Light Infantry. Alex Meek was one of those men, he had only got a few yards when he and his work mate from the pit, 36-year-old Robert Barton from Newtongrange were hit by a shell, they were never seen again. The village was taken but other objectives were not, British and New Zealand Casualties were over 29,000. It was thought at one time that Rupert Inglis an army chaplain and a former International rugby player was the oldest man on the memorial at the age of 54. 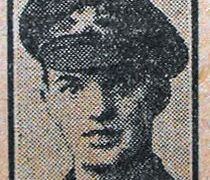 He was killed while helping a party of stretcher bearers bring in the wounded. It may well be that a miner and Grandfather from Newtongrange is actually the oldest man on the Thiepval Memorial, rest in peace Alex.